Welcome to WBPSC Recruitment 2018 section. On this page, we are providing all the latest WBPSC Notifications. Aspirants who want to make their career in a West Bengal Government Sector then can check this page regularly. Aspirants who are interested in Teaching, Medical, Banking and much more jobs in the West Bengal State then can refer this page. 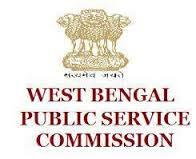 All the related stuff about West Bengal Public Service Commission Jobs are shared in the below section. Every year the West Bengal government offers many WBPSC Recruitment 2018 Notifications for freshers and experienced candidates. We provide all the information on this page. WBPSC Recruitment 2018: This page is for Candidates who are looking for WBPSC jobs 2018 then you are in right place. In SsarkariRecruitment, we provide you all the information that is released by the government of the West Bengal from time to time. Apart from State government organizations of West Bengal, there are also many organizations that are undertaken by the central government. So, Candidates can also apply for the jobs like public service commission, Research and development, Pharmaceuticals, Banking, Engineering and more industries and manufacturing units, Pharmaceuticals, I.T. West Bengal is one of most famous State in India it is most famous for Textiles, Artworks, Coal Minning, Fisheries. West Bengal is one of the populous state in India, which in turn is the result of the Topfull job market in West Bengal state. However, this is just similar to the other states which keep itself to its own largest city or its own Capital or to a maximum of the nearby. Kolkata is one of the highest populated metropolitan cities, here the WBPSC jobs are mostly expanded. You can get good jobs here, which can be in the small cities or in any corporate hub. Quite a large number of government undertakings are situated in the city of Calcutta. Kolkatta is the capital city of West Bengal State. This state shares the boundary with Nepal, Bhutan, Bangladesh countries and Orrisa, Jharkhand and Bihar states of India. So people have to choose a WBPSC job according to their qualifications. We provided all detailed information about West Bengal government Jobs like the last date, Number posts available, Name of the post and etc..,. You can also check the below jobs that are newly released by the government of the West Bengal state and can apply them before the last date. Individuals who wish to apply for the WestBengal PSC Groups posts must have the following requirements. Candidates who want to apply for WBPSC jobs their Age must be Minimum 18years and Maximum Age will be According to the Norms of the Government of WestBengal State. Age Relaxation will be According to the Norms of the State Government. Contenders who are willing to Apply WBPSC Jobs 2018 the Application fee may vary from Recruitment to Recruitment, and for Backward Classes there will be Fee waiver. Interested applicants who want to apply for WBPSC Jobs 2018 need to apply online through its official website. Every Year Government of WestBengal State Releases new Notification to Recruit Candidates throughout the State. This whole Process of Recruitment will be Conducted by a Government Body called WBPSC ie., WestBengal State Public Service Commission by releasing Groups notifications.